When she was diagnosed with scoliosis at age 10 and put into a hard plastic brace that stretched from below her hips to under her arms, Graham Williams had no idea that her scoliosis would lead her to her life’s passion and vocation. Today, 38 years later, she is the first Certified Iyengar Yoga Instructor in Raleigh and is passionate about empowering her students to enjoy the positive physical and emotional benefits yoga has brought her. Graham was introduced to Iyengar Yoga in 1994 while living in Crested Butte, Colorado. Her first teachers, Donita and Gary Reitze, told her about Elise Browning Miller when they found out about her scoliosis. Elise specializes in Iyengar Yoga for Scoliosis, and Graham took her first scoliosis workshop with Elise in 1995. In 2004 she completed Elise’s scoliosis teacher training in California. Graham has practiced Iyengar Yoga for more than 20 years. She has taught children, teens, and adults in Colorado, Virginia, and North Carolina. She has made three trips to Pune, India, where she has studied with the Iyengars to enhance both her personal and teaching practices. During her second trip she was a “patient” in one of the medical classes where she got individual attention setting her up with numerous props to help her with her scoliosis. More about this trip is on her blog. She just returned from her third trip in December 2014. Graham has taken thousands of hours of teacher training's, conventions and workshops from top nationally known Iyengar teachers. One of the first conventions she attended was in Estes Park, Colorado, with Mr. Iyengar. She also attended the Therapeutics Convention in Portland, Oregon with Geeta Iyengar. Her most recent teacher training's have been with Dean and Rebecca Lerner. Graham’s business experience includes her role as production manager of Critter Mountain Wear in Crested Butte, Colorado where she helped the owner manage and run the company for six years. When she moved to Denver, she accepted a position as purchasing agent for Textile Network. While in Denver she attended classes with Donita and Gary Reitze who moved from Crested Butte to Denver to open The Iyengar Yoga Center Of Denver. While subbing as a teacher in some of their classes, she decided this was the path she wanted to pursue. 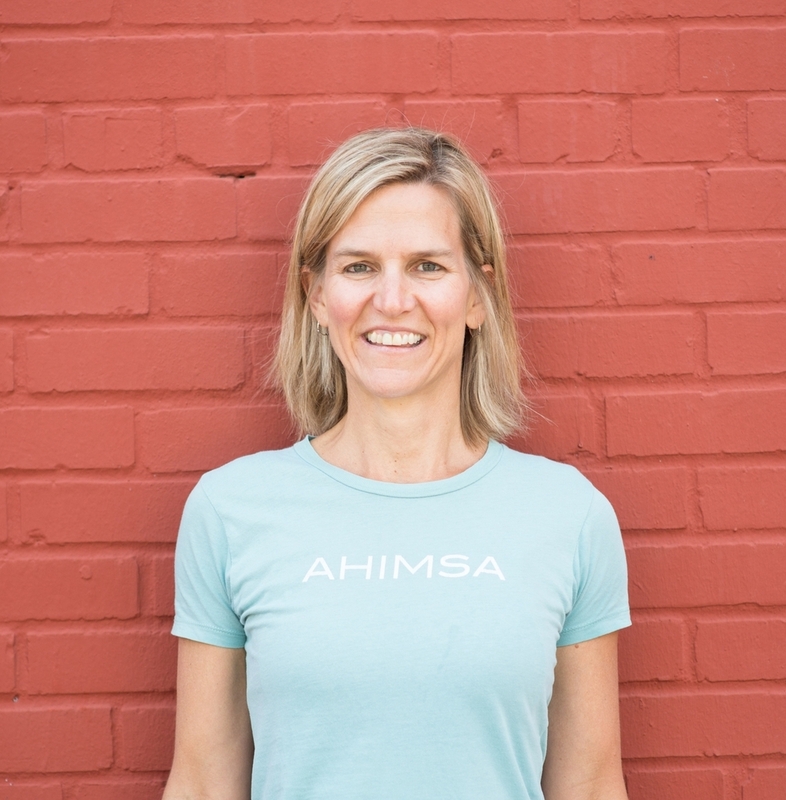 After moving from Denver to North Carolina she studied with Certified Iyengar Instructor Cindy Dollar in Asheville; she later managed Cindy’s studio, One Center Yoga, where she taught classes as well. In 2006 she moved to Raleigh, where she taught in several locations before finding and renovating a space for her own studio. She is grateful to her own teachers and mentors as well as the dedicated students who have helped her along this tremendous and most fulfilling path of study and teaching.